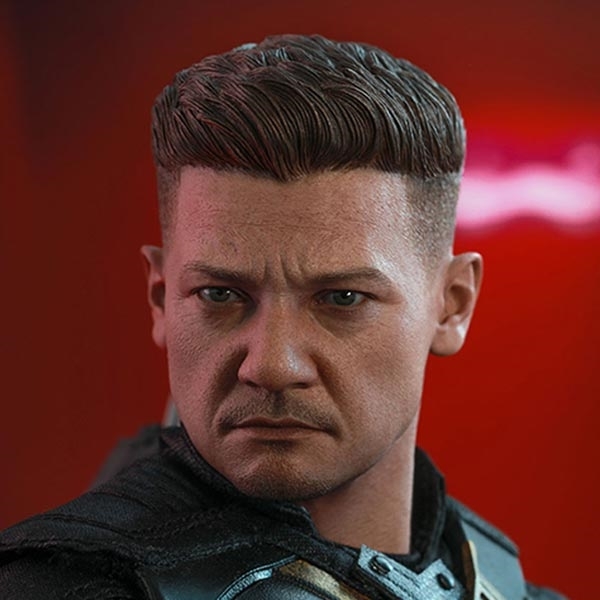 The grave course of events set in motion by Thanos has wiped out half the universe and fractured the remaining Avengers. 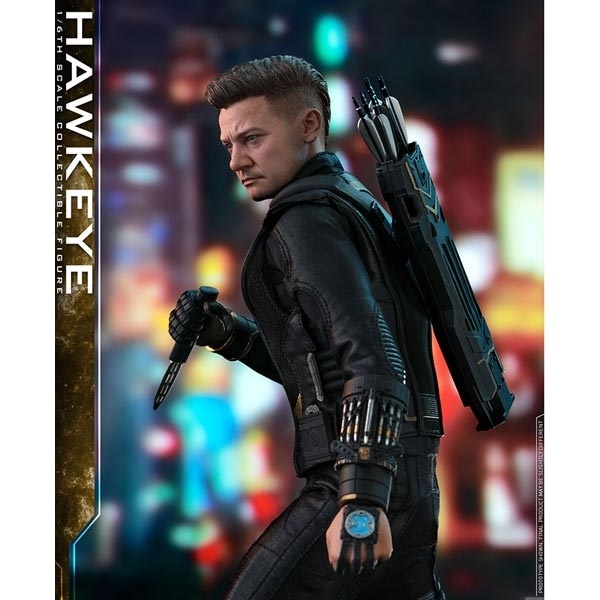 Hawkeye’s fellow Avengers are called to action, his arrows and his newfound determination might be exactly what the super heroes will need to save the world. 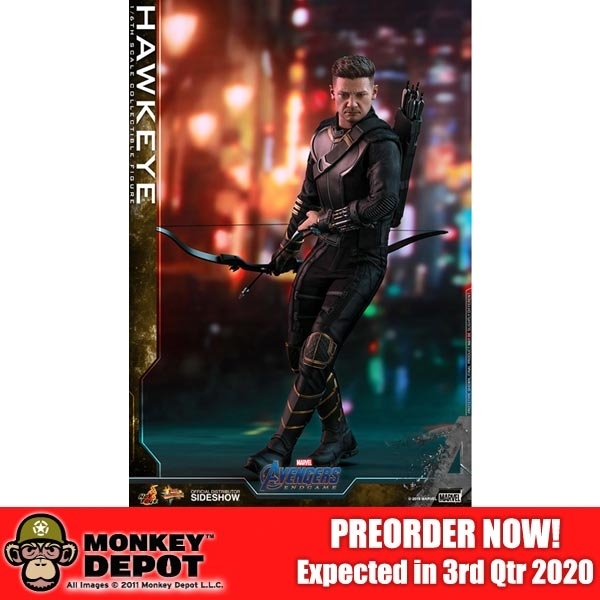 Sideshow and Hot Toys present the Hawkeye Sixth Scale Collectible Figure from Avengers: Endgame. 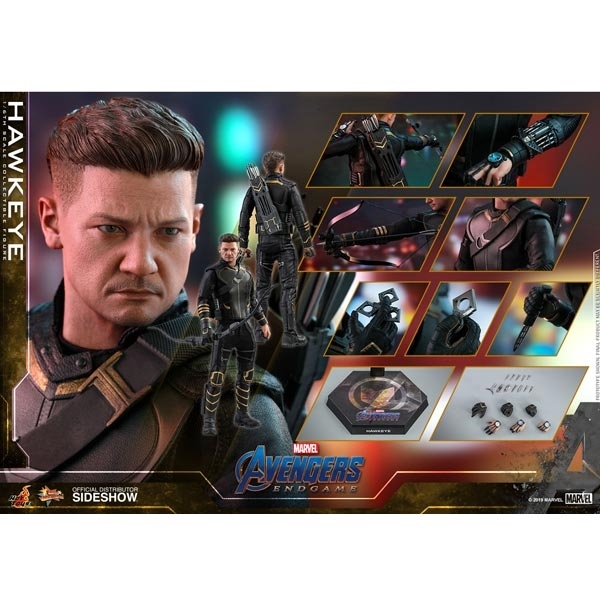 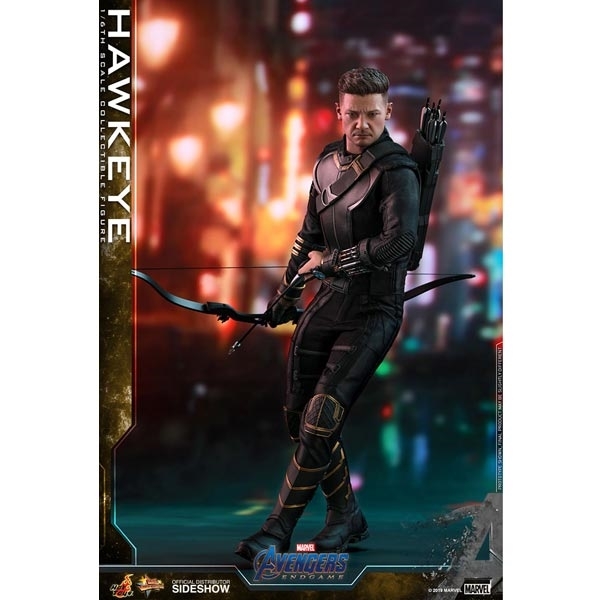 Expertly crafted based on Jeremy Renner’s appearance as Hawkeye/Clint Barton in Avengers: Endgame with astonishing likeness, the highly-detailed collectible figure features a newly developed head sculpt, meticulously tailored costume, assorted weapons and accessories including bow and arrows, dagger, shurikens and a movie-themed figure stand with an interchangeable graphic card.